A very interesting writer named Amanda Read is a Facebook friend of mine. She has an amazingly diverse reading list, and she often posts things that she has read and found interesting. A while back, she posted a story about how a baby’s cells reside in his or her mother long after the baby is born, and that they may aid the mother in healing certain kinds of tissues. When I read the story she posted, I immediately expressed my skepticism. After all, we have an amazing immune system that fights any cells that are identified as foreign. 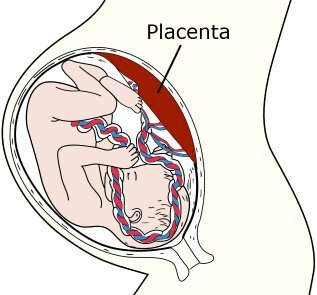 Even though the baby develops in the mother’s body, there is a placenta that forms a barrier between the mother and the baby. It was obvious to me that a baby’s cells could not pass across the placenta, because the mother’s immune system would immediately attack them as foreign cells. Well…it turns out that I was dead wrong. When I actually looked into the story, I found that while the story was a bit biased, the fact is that a baby’s cells do, indeed, cross the placenta, and they do, indeed, stay with the mother for a long, long time. In addition, the mother’s cells cross the placenta and stay with the baby for a long, long time. This phenomenon is called fetomaternal microchimerism, and believe it or not, scientists have known about for quite some time. The first paper that discussed this phenomenon was written by Herzenberg and his colleagues in 1979. Published in The Proceedings of the National Academy of Sciences USA, the paper details how they found cells with Y chromosomes in mothers after pregnancy, but only if the baby was a male.1 Since a woman has no Y chromosomes, it was clear that the cells they found didn’t belong to the woman. The authors didn’t have the ability to use genetic testing to confirm that the cells belonged to the baby, but they showed that these Y-chromosome-containing cells appeared only when the mother had a baby boy. Thus, it was clear that the cells must be coming from the baby. As time went on, more and more medical scientists confirmed the fact that fetal cells do, indeed, appear in most women during and after pregnancy. In fact, one study showed that for some women, the fetal cells stayed in the mother for as long as 27 years after the baby was born!2 In other words, motherhood can affect women on a cellular level long after the child has left home! Obviously, then, we have a lot to learn about this incredibly fascinating phenomenon. What we can say for sure right now, however, is that having a child leaves a lasting impact on both the mother and the child. I always knew that, but I never expected it to be true at a cellular level! 1. Leonardy Herzenberg, et al., “Fetal Cells in the Blood of pregnant women: Detection and enrichment by fluorescence-activated cell sorting,” Proceedings of the National Academy of Sciences USA 76:1453-1455, 1979. 2. Diana W. Bianchi, et al., “Male Fetal Progenitor Cells Persist in Maternal Blood for as Long as 27 Years Postpartum,” Proceedings of the National Academy of Sciences USA 93:705-708, 1996. 3. Sean Maloney, et al., “Microchimerism of maternal origin persists into adult life,” Journal of Clinical Investigation 104:41-47, 1999. 4. Tomoko Sato, et al., “Microchimerism after induced or spontaneous abortion,” Obstetrics and Gynecology 112(3):593 – 597, 2008. 5. Nelson, J.L., “Maternal-fetal immunology and autoimmune disease: is some autoimmune disease auto-alloimmune or allo-autoimmune?” Arthritis & Rheumatism 39 (2):191 – 194, 1996. 6. Khosrotehrani K and Bianchi DW, “Multi-lineage potential of fetal cells in maternal tissue: a legacy in reverse” Journal of Cell Science 118:1559-1563, 2005. 7. Johnson, KL and Bianchi DW, “Fetal cells in maternal tissue following pregnancy: what are the consequences?” Human Reproduction Update 10(6):497-502, 2004. Aaaand that’s why I want to be a midwife. Because I don’t think there is any system on earth that bears more witness to an awesome, intelligent designer then the reproductive system. What a great way to choose a profession! My wife began exhibiting symptoms akin to Rheumatoid arthritis shortly following the birth of our 2nd child. However she has been tested for numerous things and nothing has been formally diagnosed. This gives us something to think about. Though I’m not sure there’s anything we could do about it. It is certainly something to think about, Calvin, although the problem is that right now, we don’t know enough about this phenomenon to tie it to any disease or benefit. Thus, it is not clear this is a relevant issue for your wife. Nevertheless, talking to your doctor about it couldn’t hurt! I so agree!!! I mean, around 12-15% of all pregnancies end in spontaneous abortion, or miscarriage. Which means that our loving Lord is the greatest abortionist of them all!! And let’s not forget the unborn babies who end up with the umbilical cord wrapped around their necks and suffocate and die before being born!! Praise Jesus!!!!! And while were on the female reproductive system, let’s not forget about the enormous suffering that many women go though during menstruation every month. Cramps that can be so painful that they warrant frequent trips to the doctor to try and find relief. And of course, some women suffer from such heavy bleeding that they develop medical disorders due to the loss of vitamins and minerals. –Praise God!!!!!!!! And of course let’s not forget that wonderful period of a woman’s life called menopause. Is there any way to calculate the amount of suffering that women experience—hot flashes, cold flashes, constant insomnia, restlessness,irritability, etc., that can last for decades—-Praise our Lord for the fabulous reproductive system!!!! Yes siree, the human reproductive system sure looks exactly what a perfect and loving designer would create!!! Thank you for showing us exactly how well the scientific data confirm what the Bible says. God created a very good world, full of incredibly designed things, and then sin corrupted it. Interestingly enough, you seem to be ignoring everything that I said in my previous replies to your comments on the appendix post, since you keep attributing these terrible things wrongly. They were caused by humankind’s rebellion. They were not created by God. The fact that you are unwilling to learn this very important point speaks volumes. My sister miscarried. It was probably due to an antibiotic she was taking before she was aware she was pregnant. I would expect that many pregnancies are terminated by outside factors. Any study on fetal development and birth will show you it is nothing short of miraculous. On a side note, my sister is now five months pregnant with my niece. There is too much joy to major on pain. And as a Bible-believing Christian, I know that her first child is with Jesus, as is every other child that dies before birth. Our Lord and Savior is worthy. Thanks for sharing that, Grace. While I am sure L.W. cannot appreciate it, most of my readers do! Worthy of condemnation and scorn. That’s what any God who doesn’t protect the most innocent among us is worthy of. Just GOOGLE “birth defects” and browse through a few images. And if you are so pathetically deluded to believe that some asinine fairy story from an ancient book of fables is responsible for the astonishing suffering of the innocent in this world, then you are far beyond the ability to have rational conversation. Our Lord and Savior is most definitely worthy. You see, He gave us all Free Will, and He allows us to live with the consequences of it. Free Will is the most precious gift a Creator could give to His creation. Unfortunately, when His creation decides to use that Free Will to corrupt nature, causing birth defects and many other maladies, that’s not His fault. I think from the tone of your comments, L.W., it is clear to all which commenter is not able to have a rational conversation! I laughed out loud when I read this. Best. Zinger. Ever. 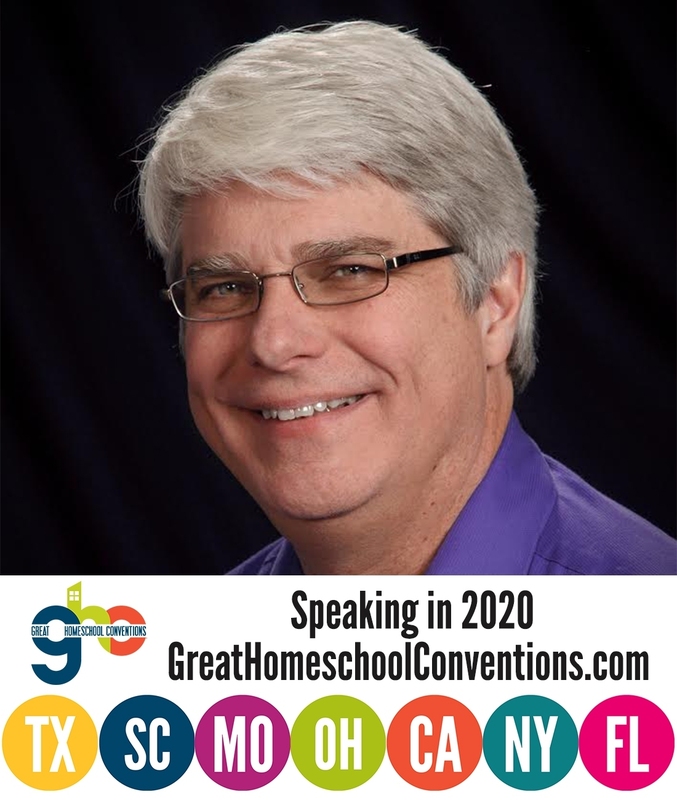 Keep up the good work, Dr. Wile! Thanks, Jonathan. I really didn’t mean it as a zinger – just a statement of fact. Haha indeed it is rather clear… rationality, reason, and logic seem to be thrown to the wind when LW speaks. Yeah… but it still had quite a zing to it! So, the suffering of innocent children is because of the corruption of nature by sin? Your god is a pathetic, vile, disgusting piece of garbage that I would not lower myself to spit on, much less worship. And if he existed, then he surely would be responsible for the suffering of the innocent. And you deluded, religious nuttery is an embarrassment to an actual thinking human being. L.W., you ask, “So, the suffering of innocent children is because of the corruption of nature by sin?” Yes! Unfortunately, you don’t seem to understand what that means, because you also state, that God “surely would be responsible for the suffering of the innocent.” That is not correct. Sin corrupted nature, and sin is the fault of humankind. Thus, God is not responsible for the suffering of the innocent. We are. That’s why we are supposed to ease that suffering as much as possible. You might think that my God is a “pathetic, vile, disgusting piece of garbage.” You are welcome to that view. However, I can’t help noticing how similar this view is to that of a small child who is upset at his parent for punishing him. I prefer to have an informed view of the nature of God. He is, in fact, all-knowing (1 Kings 8:39; Psalm 139:1-6; Proverbs 3:19-20; 1 Corinthians 2:10), supremely powerful (Genesis 18:14, 1 Samuel 2:6-7; Psalm 18:13-15; Revelation 19:6), holy (Psalm 77:13; Isaiah 6:3, 57:15; 1 Peter 1:15-16; Revelation 4:8), wise (Isaiah 28:29; Jeremiah 10:12; 1 Corinthians 1:30; Colossians 2:2-3), loving (Psalm 33:5, 18, 22; Exodus 15:13; Psalm 13:5-6, 89:2; Romans 8:38-39; Ephesians 3:17-19), good (2 Chronicles 7:3; Genesis 1:31; Psalm 119:68, 145:9; Mark 10:18), faithful (Deuteronomy 7:9; Psalm 33:4, 100:5; 1 Corinthians 1:9; 1 Thessalonians 5:24), merciful (2 Samuel 24:14; Nehemiah 9:31; Daniel 9:9; Luke 1:50-54), kind (2 Samuel 22:51; Isaiah 54:8; Jeremiah 9:24; Romans 11:22), patient (1 Timothy 1:16; Nehemiah 9:30; Romans 3:25; 2 Peter 3:15), and just (Deuteronomy 32:4; Job 37:23; Psalm 99:4; Luke 18:7-8). Again, L.W. might want to read the Bible before disparaging it. Just a thought.